A Corvallis marijuana retailer was raided Tuesday for allegedly selling pot across state lines and being involved in a sprawling credit card scheme. 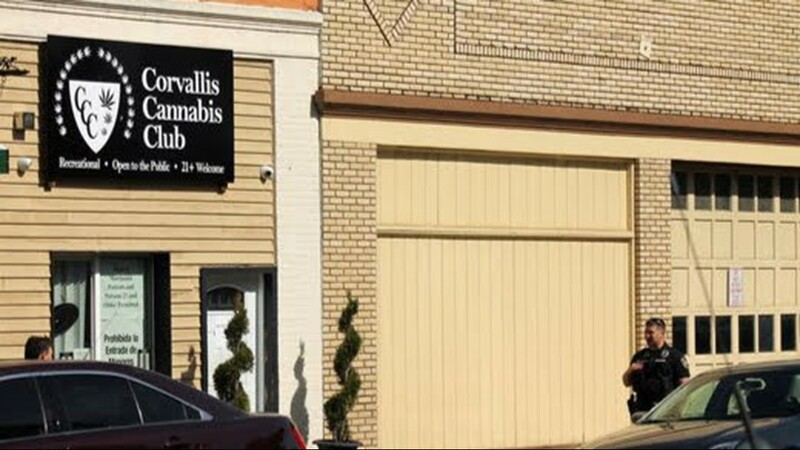 The operation at the Corvallis Cannabis Club marks one of the first major enforcement actions in Oregon after U.S. Attorney Billy Williams signaled deep concerns earlier this year about the state's overabundance of marijuana fueling the black market. The raid also was the culmination of a year-and-a-half-long investigation by federal officials into a credit card fraud scheme that targeted struggling Armenians. Agents from the Federal Bureau of Investigation and U.S. Drug Enforcement Administration took point on Tuesday's operations, though U.S. Attorney's Office spokesman Kevin Sonoff declined to give the number of agents involved. Twelve Corvallis Police Department officers joined federal agents, city spokesman Patrick Rollens said. 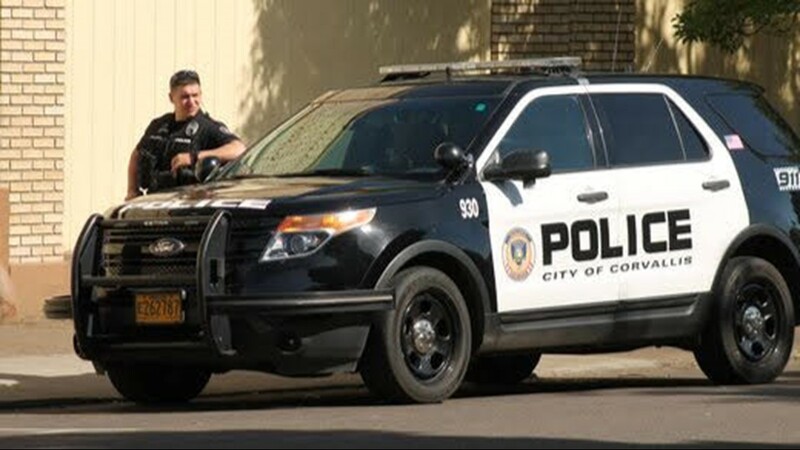 Three arrests were made in connection with the credit card scheme, which allegedly funded the Corvallis Cannabis Club. Money from the fraud allegedly was used to pay for growing illegal pot. Ararat Manukyan, Yeghishe Nazaryan, and Gevorg Tashchyan are expected to appear before a federal judge Wednesday in Eugene. Gavin Bruce, assistant U.S. attorney for Oregon, is prosecuting the case. Calls to the Corvallis Cannabis Club went unanswered Tuesday. Authorities believe some of the Corvallis-grown marijuana has been sold across state lines, which remains illegal under federal law. And through the credit card scheme, financial institutions have been defrauded of more than $1 million. Eyewitness Tim Smith, who took photos of the Tuesday morning raid at the Corvallis Cannabis Club, 220 NW 2nd St., told the Statesman Journal he learned at about 9 a.m. Tuesday a raid was underway. Smith said authorities "were hauling items out of two locations." One was the Corvallis Cannabis Club, where officials were putting boxes into a vehicle, Smith said. 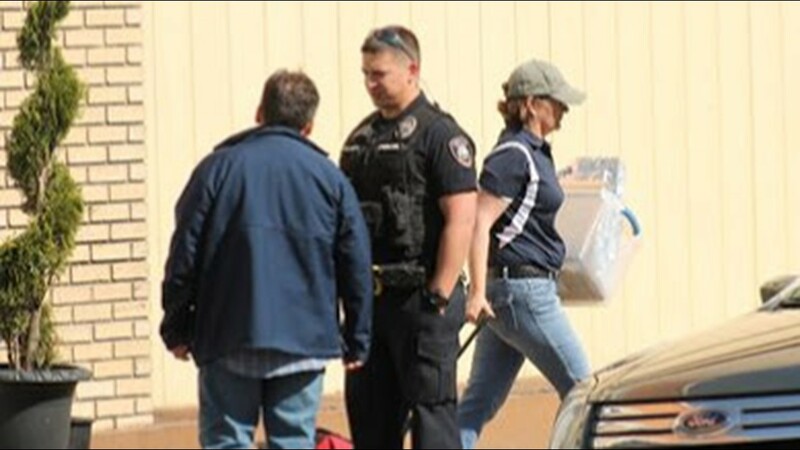 The other location was nearby, where officials were also placing items into a large truck. According to a sworn statement from FBI special agent Jeffrey Schiltz, there are nine suspects. The suspects are Mariam Gevorkova, Issa J. Barsha, Yeghishe Nazaryan, Shokhrukh Tashpulatov, Lilit Gevorkova, Akmaljon Radjapov, Gevorg Tashchyan, Davit Sukiasyan and Ararat Manukyan. It's unclear if the other six have been arrested. A probable cause statement lists Mariam Gevorkova and Yeghishe Nazaryan as the Corvallis Cannabis Club's owners. Ararat Manukyan is listed as a registered agent for the company, according to Oregon Secretary of State records. According to the statement, the nine suspects face a sweeping set of charges: bank fraud, wire fraud, mail fraud, conspiracy; conspiracy to manufacture, distribute, or possess with the intent to manufacture, distribute, dispense a controlled substance; and manufacture, distribution or possession with the intent to manufacture, distribute, dispense a controlled substance. The charges stem from an investigation started in December 2016 by the FBI and United States Postal Inspection Service for a credit card "bust-out" fraud scheme being conducted by Corvallis residents, according to a probable cause statement. The investigation kicked off after Synchrony Bank said it lost about $171,808 through eight credit cards that were being used fraudulently and were issued to someone named Yana K., who was supposedly living in Corvallis. It was later revealed Yana is a 26-year-old Ukrainian resident. The investigation eventually revealed money from the fraud was used to pay for a pot grow and store in Corvallis, with some of the pot being sold across state lines. 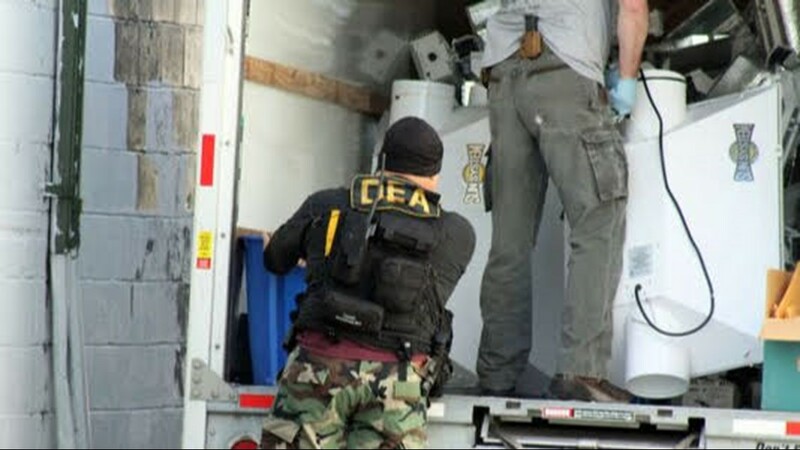 After the revelation about interstate sales, DEA special agency Andrew Hsia was brought on. Hsia had more than 40 drug trafficking investigations under his belt. In June 2017, Corvallis police arrested an uncharged co-conspirator authorities refer to as O.J., after Barsha complained O.J. had threatened Barsha with a gun. When Corvallis police arrived at Barsha's residence in response to the complaint, they saw a white Maserati trying to leave. One of the occupants, Radjapov, said O.J. had threatened to shoot all of them if he didn't get money he thought was owed to him. O.J. was arrested soon afterward. After his arrest, O.J. disclosed to authorities the residents had been part of frauds, which he had agreed to be involved in, but he said he didn't get paid. According to the probable cause statement, O.J. told federal officials including the FBI about the fraud on June 7, 2017. He told them Barsha and Radjapov were coordinating the fraud. O.J. said someone living in Hollywood would recruit struggling Armenians, paying them for their personal information, which was in turn used to get credit cards. After the card was issued, Radjapov and Barsha would begin "hitting" it by charging the card up to its limit. Money would be sent from a fraudulent account to pay down the card's balance, and the process of charging the card would start again. "The account that made the payment is reported to be fraudulent, and the funds are returned to the account. Barsha and Radjapov use their laptop computers to conduct the fraud," the probable cause statement reads. O.J. also told authorities about the out-of-state marijuana sales. The marijuana comes from a Corvallis warehouse. Rent at the warehouse and at the Corvallis Cannabis Club was paid for with fraudulent credit cards, according to the probable cause statement. In March 2015, the Los Angeles Police Department arrested Mariam Gevorkova on a charge of possession of marijuana for sale. Authorities arrested Gevorkova after a search warrant was executed at Green Kingdom, which was operating illegally as a medical marijuana dispensary. She had been inside a grow room. She told Los Angeles police she wasn't employed there or volunteering, but she had "helped out in the past," the probable cause statement reads. 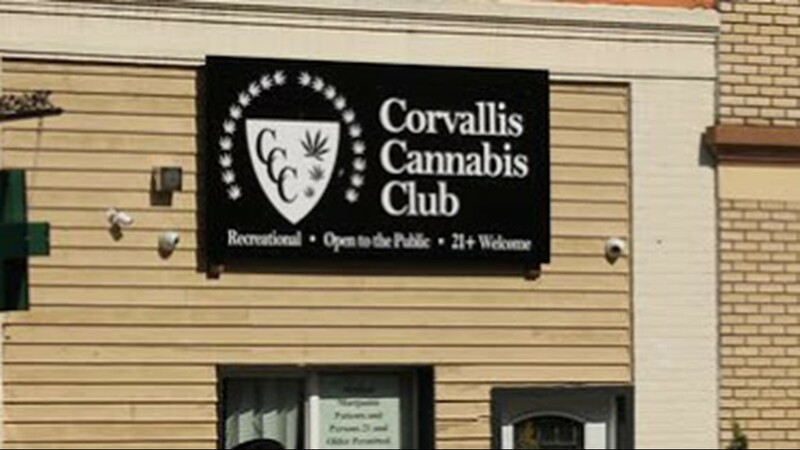 The Corvallis Cannabis Club was registered with the state of Oregon a month later. O.J. told authorities marijuana would be packaged at the Corvallis Cannabis Club for sale out of state. It would be vacuum-sealed and put inside suitcases, then smuggled across state lines. In one example, a package had been sent from the store to Peoria, Illinois in March 2017. The sender was "Tony Cool" and the recipient was "Geoirge Arrnani." "These names appear to be fictitious given the similarity of the recipient to the Italian fashion designer 'Giorgio Arrmani.' Based on (special agent) Hsia's training and experience, the use of fictitious names helps to obscure the true identities of shippers and receivers should a package containing contraband be intercepted," the probable cause statement reads. In another example, O.J. said he traveled to Chicago with Barsha in April 2017, for a 60-pound marijuana delivery. Barsha deposited a portion of the proceeds into Chase Bank, then returned to Oregon with about $30,000.